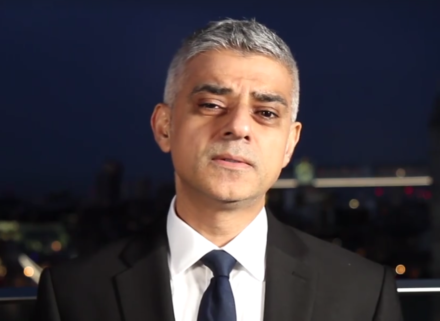 This is the full statement published by Sadiq Khan, mayor of London, after a van drove into worshippers outside a mosque in London. The Metropolitan Police are responding to a horrific terrorist attack on innocent people in Finsbury Park. One person has died at the scene, eight more are injured in hospital and two more were treated for injuries at the scene. My thoughts and prayers are with everyone affected. I am grateful to our emergency services, who responded quickly and have been working on the scene throughout the night. I have been in contact with the Met commissioner and senior officers and am being kept updated on all developments. I have also spoken with community organisations in the area, local MP Jeremy Corbyn and leader of the council Richard Watts. We don’t yet know the full details, but this was clearly a deliberate attack on innocent Londoners, many of whom were finishing prayers during the holy month of Ramadan. While this appears to be an attack on a particular community, like the terrible attacks in Manchester, Westminster and London Bridge it is also an assault on all our shared values of tolerance, freedom and respect. The situation is still unfolding and I urge all Londoners to remain calm and vigilant. Please report anything suspicious to the police, but only call 999 in an emergency. The Met have deployed extra police to reassure communities, especially those observing Ramadan. For further updates or information please follow the Metropolitan Police on Twitter.